Greater College Park has exploded into a thriving community of much more than a student populous. The area is now a hub for the restaurant and entertainment scene. In fact, adult couples and families frequent this nexus of flavors more than ever before. Here is a quick look at some of the finest places to dine in College Park. If you are in town visiting your daughter or son at UMD and would like a more upscale dining experience, The Old Maryland Grill (OMG) is a perfect choice. The OMG boasts unique local ingredients delivered daily with unparalleled freshness and flavor. 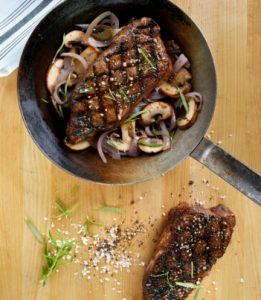 Whether you fancy fare from the sea, like Chesapeake Fried Oysters, or a succulent 14oz New York steak, OMG won’t disappoint. There is Greek cuisine, and then there is Kapnos Taverna. This is no common souvlaki joint. Kapnos takes an old world family-style approach to dining in the ancient Greek tradition. Pair their delectable grilled Bronzino with an authentic Mediterranean-inspired cocktail, and there is no doubt you will keep coming back to Kapnos. 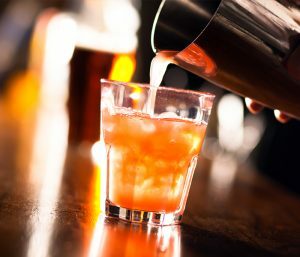 There has been a resurgence of late for the craft cocktail. Something that the Hotel at UMD’s Lobby Bar has taken quite seriously. 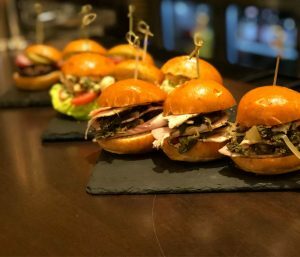 The Lobby Bar, like most features of the Hotel at UMD, aims to break away from the typical and leans more toward the tantalizing. Take The Bulleit Old Fashioned for example. A famous cocktail but with a cherry liquor to add some complexity to the flavor profile. Or perhaps you would prefer a pint of an eclectic selection of beers on tap? Twelve to be precise, with dozens more on a fascinating scale to obscurity. If it’s a quiet drink or watching the game, there is a seat at the bar with your name on it. Pizza is an institution all its own for college students. However, Potomac Pizza caters to the refined pizza lover looking for a tasty slice. Pro tip: Check the dessert offering on the menu. If you find cannolis there, then you know you’ve found Potomac Pizza. Any pizza place that makes their own cannolis clearly loves to make food. 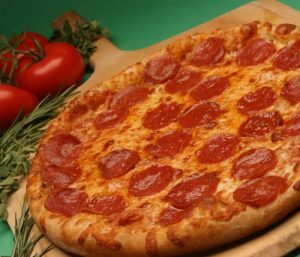 Potomac Pizza is an excellent family pizzeria with a great selection of Italian dishes. Oh, and the pizza is fantastic too. Just be sure to get a cannoli for dessert. Looking for a little more diversity to add to your dining experience? Then you need to head over to the Milkboy Arthouse. This place has eclectic written all over it. 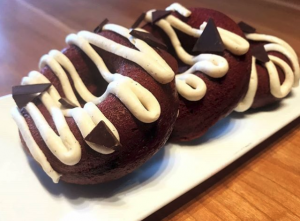 Name another venue you can get a Maple Bourbon Donut to go with your piping hot bowl of Homesick Soup while the dulcet tones of live music or poetry fill out the bohemian vibe? Kick back and take it all in. Enjoy. “Delight every Guest,“ is a mantra that Burtons Grill lives up to. The menu is full of cuisine that aims to make your mouth water. When they say “every guest,” they mean it. Their menus have sections for vegetarian, gluten sensitive and even paleo diets. It’s traditional fare, done exceptionally well. 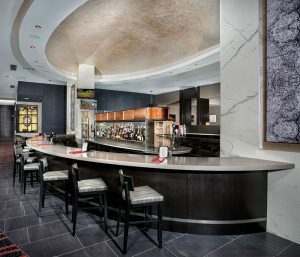 Be sure to grab a bite in College Park when you stay at The Hotel at UMD.